On December 19, 2018, the Kern County Fire Department announced start of open pile/hazardous reduction burning within the State Responsibility Area (SRA). 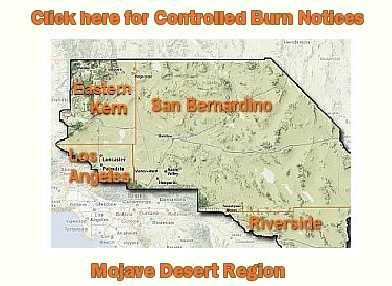 Be advised: You must acquire a burn permit from your local fire department and call them to ensure it is a designated burn-day prior to ignition. Click for more info. Commercial Agricultural operations must obtain and maintain an annual Crop Waste, Hazard Reduction & Noxious Weed Burning permit from the District. Click here to download a copy of the Application for Agricultural Burning. Individuals interested in burning must obtain a Hazardous Reduction Burn Permit from their local fire department and ensure day of scheduled burning is a designated burn day. You must contact your local fire station the day of your planned burn, and receive approval prior to any hazardous reduction burning. 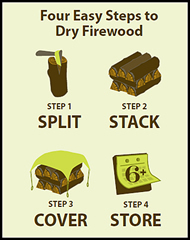 Smoke is made up of a complex mixture of gases and fine particles produced when wood and other organic matter burns. The biggest health threat from smoke comes from fine particles. These microscopic particles can get into your eyes and respiratory system, where they can cause health problems such as burning eyes, runny nose, and illnesses such as bronchitis. Fine particles also can aggravate chronic heart and lung diseases – and even are linked to premature deaths in people with these conditions. People with asthma, heart disease, lung disease, older adults, and children are at greater risk of being affected by smoke. If you are healthy, you're usually not at a major risk from smoke but it's still a good idea to avoid breathing smoke if you can help it. It's important to limit your exposure to smoke, especially if you may be susceptible. Smoke can irritate the eyes and airways, causing coughing, a scratchy throat, irritated sinuses, headaches, stinging eyes or a runny nose. If you have heart or lung disease, smoke might make your symptoms worse. People with heart disease might experience chest pain, palpitations, shortness of breath, or fatigue. People with lung disease may not be able to breathe as deeply or as vigorously as usual, and they may experience symptoms such as coughing, phlegm, chest discomfort, wheezing and shortness of breath. When smoke levels are high enough, even healthy people may experience some of these symptoms. Watch local news and weather stations, pay attention to health warning and air quality reports, you can also use the EPA's Air Quality Index (AQI). Use common sense; if it looks smoky outside, it's probably not a good time to mow the lawn, go for a run, or let children play outside. If your advised to stay indoors take steps to keep indoor air as clean as possible. Keep windows and doors closed. Run an air conditioner if needed but make the fresh air intake is closed and the filter is clean. Do not use a swamp cooler as it will pull in lots of smoke from outside. If your house becomes to hot to be comfortable seek alternative shelter. If it is cool outside try to avoid anything that produces heat from burning such as a fireplace, gas logs, or a gas stove.